In recent weeks I have received several emails from parents who are starting the homeschooling process here in Memphis, TN looking for advice. While I believe Memphis has a solid homeschool community with great resources, I realize that with the amount of resources available, it can also be overwhelming and intimating. It can be hard trying to figure this all out. I began to think about this blog, and I want to make sure that the people who stumble upon Homeschooling in Memphis can easily find a path to begin the wonderful journey of homeschooling. Disclaimer: This post is not intended to be legal advice. There are many resources listed in this post in which NO paid advertising was involved. Homeschooling in Memphis receives NO money for services you choose to utilize in this post. This post is simply compiled from my knowledge and experience provided for your benefit. How Do I Begin The Homeschool Journey? Well, I usually like to point people to Memphis-area Home Education Association. MHEA is a Christian-based organization here in Memphis, TN and in my opinion they are the best resource in the city for anyone looking to start homeschooling. In addition to answering a lot of your homeschool related questions, MHEA offers many activities such a kindergarten graduation, high school graduation, field day, Christmas activities, and competitive sports. A few ways to comply with the TN state law for homeschooling is one; you can register with your local superintendent as a homeschool family. Or you can join a cover or umbrella school. I know homeschool families who have done both. Our family is with a cover school. These cover schools help with attendance, grades, and transcripts. Each cover school is different as some offer additional resources. You will want to contact each cover school to find out which one is best for your family. It is not a TN law but you can also join Homeschool Legal Defense Association. HSLDA is a nonprofit advocacy organization established to defend and advance the constitutional right of parents to direct the upbringing and education of their children and to protect family freedoms. They provide homeschooling-related legal advice and representation to our over 80,000 member families, promote homeschool-friendly legislation at the state and federal levels, and offer information and resources to encourage and support all homeschoolers. HSLDA is a great resource. You can also join THEA’s local chapter, MHEA. Since 1984, Tennessee Home Education Association has helped families across the state by providing tested, common sense advice to help them launch and conduct their home schools. 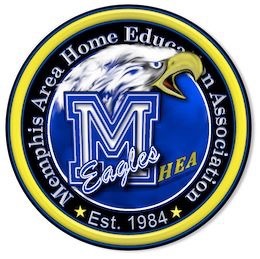 To join THEA you will join the local chapter, MHEA here in Memphis, TN. As I mentioned above, MHEA is a great resource for you here in the city. I speak with MANY parents who feel MHEA doesn’t offer a lot of activities for their younger children. “So why join?” MHEA has as many activities as there are volunteer parents to help come up with ideas and also lead activities. In addition, I like to remind parents that by supporting MHEA they are supporting the bigger homeschool picture. MHEA does a lot of behind the scenes work to protect our homeschooling rights at the state level. I am a member of MHEA and proud to serve alongside a wonderful organization for homeschool families. 2. What Curriculum Do I Use? I have been asked this question a lot over the past several weeks. Choosing the right curriculum is daunting, but you will want to make sure you are choosing a curriculum that is best for your children and family. There are many wonderful curriculum’s such as Abeka, Sonlight, My Father’s World, Bob Jones, to name a few. When we began to homeschool we always purchased from Rainbow Resources. Their site is a little overwhelming as they have EVERYTHING you’ll ever need to homeschool such as textbooks, planners, games, portable clocks to teach your children how to tell time, pretend money, telescopes…etc! Rainbow Resources is a homeschool family run business and generally will have any curriculum you are looking for. If there website is too overwhelming feel free to contact them directly as they offer free consultation. You can also join a local co-op in lieu of purchasing curriculum. Some co-ops are parent run where parents volunteer to teach homeschool classes. Some co-ops have teachers who teach homeschool classes. All co-ops are different but many of them cover a lot of the subjects your children will need. You may still have to purchase textbooks for classes, but your co-op will provide a list of textbooks you will need. Support groups began to give families that extra support they need such as field trips, park days, Christmas parties, and socialization. A lot of co-ops have now branched into doing field trips, but support groups are a great option to meet many diverse homeschool families. As with co-ops, you will need to find the right support group for your family as every support group’s mission is different. I hope this gives you a starting point on your homeschool journey. You won’t know everything you need to know all at once. I think back on when our family moved to Memphis six-years ago. The homeschool laws in Memphis are different from the homeschool laws in California which is where we moved from, so we had no clue what we were doing six-years ago. It has been a learning process. You’ll be okay! You may still have a lot of questions such state testing, is it required or not? ACT testing, getting your child into college, taking your child out of elementary school mid-year, IEP’s. Contacting the Homeschool Legal Defense Association (HSLDA) is truly a great resource to answer the many questions you will have on this journey. If you have any other questions feel free to contact me on the contact page. I may not know the answer, but I will find the answer.